Didn’t we just do this election thing? And win it? Well, yes… but that was only the 2017 special election, one race per district to fill the seats vacated by former Representatives Quick and Williams. There’s still the regular 2018 election, with a whole slate of state, district, county, and local elections, plus our representative in the U.S. Congress. So… for the first few months of 2018 we’ll have an eye on the Georgia legislative session, and we always have an eye on Congress (which is surprisingly necessary despite so little actually getting done), but… it’s time to talk about the road to November 2018. 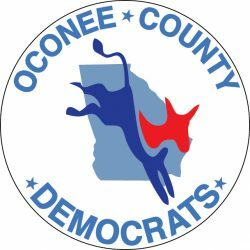 Additionally, although we don’t yet anticipate needing one, there could be a springtime special election on March 20, 2018; if so, its voter registration deadline would be February 20, 2018, and any runoff would be April 17, 2018. No reason we’d need that, but… you never know. Our candidates page lists the races that we know are currently in contention, but we might have missed one or two. (Please tell us, by Facebook message or email, if you think we did miss anything!) But this is the list of all the races we know are open, regardless of whether they have a Democratic challenger yet. If you are, come to one of our meetings and talk to us about it. Or contact us on Facebook or via this form to express your interest.